So many brides, grooms, and families vow to live healthier in preparation for the big day. HungerShield's founders will be attending NYC's Great Bridal Expo to introduce their new appetite control drink mix. They will also provide customers with a diet and lifestyle program to get them on track to meet their goals, plus promote healthy living for the long term. With balancing work, wedding planning, and my social life, HungerShield is a good 'go-to' for my busy days in the last 2 months of wedding planning. It keeps my wedding diet plan in check! Many times, an upcoming wedding motivates brides, grooms, and the rest of the family to focus on weight loss or fitness goals. If done right, this can be more than just a short term effort, but rather a jumpstart to healthy, long term lifestyle changes. According to a 2012 study, over 5 million women in the U.K. lose weight for the big day and more than one in ten brides lose 56 pounds or more. However, other studies have shown that many women who view this as a short term endeavor gain weight back following the honeymoon. HungerShield is happy to announce plans to participate in this year's Great Bridal Expo in New York City on Tuesday September 18th. For over 30 years, the Great Bridal Expo has been the nation's leading direct to the consumer wedding event. The nationally sponsored tour visits major cities twice a year and reaches over tens of thousands about-to-be-marrieds and their families and friends who are actively involved in the wedding planning process. 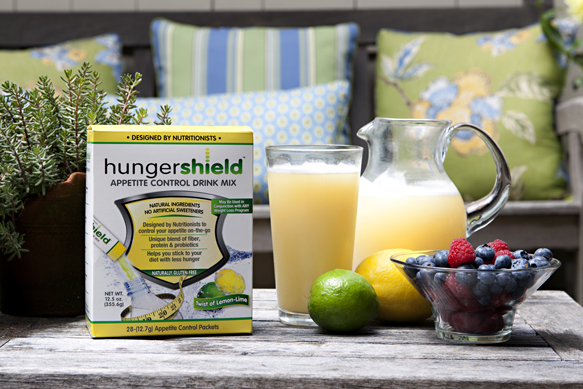 HungerShield's team of registered dietitians will be introducing their appetite control drink mix. As part of this event, HungerShield will offer a significant discount for purchasing the product, as well as access to their "big day diet" program -- a lifestyle plan complete with tips, food lists and a sample meal plan. "This isn't a gimmick or a quick-fix," says HungerShield Co-founder and Registered Dietitian Dafna Chazin, MS, RD. "This is a tool that will not only help people reach their weight loss goals, but will encourage continued healthy habits beyond the big day. As registered dietitians we will not only be sharing the product, but also underlying principles that are the keys to success in managing your weight for life." Bride-to-be, Rachel Bordenstein, from New York shares her plans to get in shape for her big day. "I plan to start 6 months ahead of my April 2013 wedding day." Bordenstein shares she plans to make an effort to get to the gym 2-3 times per week. "Most importantly, I will stick to my Weight Watchers diet plan and be very strict in terms of not eating outside my points." 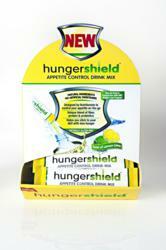 HungerShield's key differentiator is that it can be used in conjunction with any weight loss program. "Customers who follow the Weight Watchers plan have shared that for 1 point used on HungerShield, they save many more," states Chazin. "It keeps them satisfied for longer and can be used at any time of the day." Bride-to-be Amy Santo is already seeing success using HungerShield. According to Amy, "I use HungerShield while wedding planning to curb my appetite. With balancing work, wedding planning, and my social life, HungerShield is a good 'go-to' for my busy days in the last 2 months of wedding planning. It keeps my wedding diet plan in check!" HungerShield, refreshing and ready to drink!